A Syrian man, suspected of being a terrorist linked to the Isis extremist group, has been detained in Sicily. 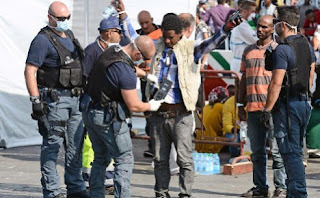 The man landed in the Ragusa port of Pozzallo, a major arrival point for migrants into Italy, on December 4th, Ansa reported. Police linked him to Isis because of photos found on his mobile phone, sources told the news agency. A preliminary investigations judge was set to formally consent to the detention on Monday. The man arrived on the same day nearly 2,000 migrants were rescued off the coast of Libya. Some 2,600 more were rescued in the days that followed. 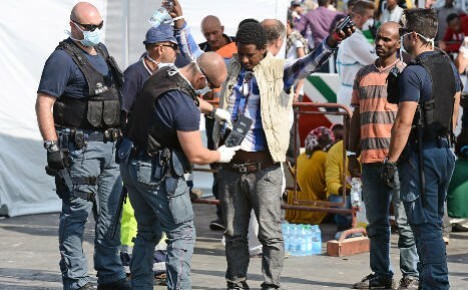 His detention comes a week after an Iraqi man was arrested in the Puglia city of Bari on suspicion of allegedly smuggling jihadists into Italy. Italy's anti-terrorism sweep has widened since the November 13th Paris attacks, with four suspected terrorists arrested in late November in Italy and Kosovo.